Gerald Maguire, M.D., DFAPA joins Peter Reitzes for this “Ask Jerry” episode in which Dr. Maguire answers listener questions about the medical treatment of stuttering. Dr. Maguire is the newly appointed Chair of Psychiatry in the University of California’s, Riverside School of Medicine and a professor of psychiatry. Dr. Maguire is considered by many to be the leading authority on the medical treatment of stuttering and is a regular guest on StutterTalk. Dr. Maguire has been listed for the past six years in Best Doctors in America and is well-published in numerous psychiatric journals. Jerry’s previous appearances on StutterTalk are archived here. Gerald A. Maguire, MD joins Peter Reitzes to discuss what speech-language pathologists need to know about the emerging medical treatments in stuttering. Summarize available pharmacologic treatments for stuttering and related conditions. Cite how traditional speech therapy with people who stutter is commonly effected by the medical treatment of stuttering. 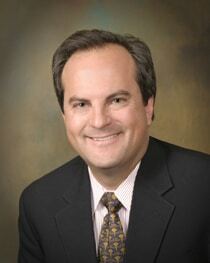 Presenter Bio — Gerald A. Maguire, MD, is Sr. 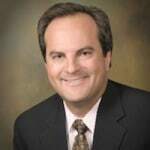 Associate Dean of Medical Education, holds the Kirkup Endowed Chair in Stuttering Treatment and is Professor of Clinical Psychiatry at the University of California Irvine School of Medicine. Dr. Maguire is a regular guest on StutterTalk. His previous appearances are archived here. Contact Dr. Maguire directly via email: gerald.maguire@uci.edu. Episode/Course Description: Stuttering has recently been reclassified in DSM 5 as Childhood Onset Fluency Disorder. Over the past decade, much has been learned regarding the neurophysiologic and genetic basis of stuttering. With such, methods for medical treatments have emerged. Such treatments can potentially be utilized when standard speech therapy techniques have not yielded full benefits or as an augmentation to such treatments. Gerald Maguire, MD, joins Peter Reitzes to discuss his current research and journal articles on deep brain stimulation and Asenapine in stuttering treatment. Dr. GERALD A. MAGUIRE is a person who stutters, the director of the Kirkup Center for the Medical Treatment of Stuttering at the University of California, Irvine and has researched the medical treatment of stuttering for more than 15 years. 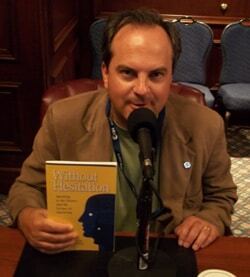 Dr. Maguire is certified by the American Board of Psychiatry and Neurology, is a Distinguished Fellow of the American Psychiatric Association and is author of Without Hesitation: Speaking to the Silence and the Science of Stuttering. To contact Dr. Maguire, email: gerald.maguire@uci.edu. StutterTalk would like to thank Dr. Luc De Nil, a StutterTalk adviser from the University of Toronto, for helping us prepare this interview with Dr. Maguire. Dr. Maguire’s StutterTalk appearances are archived here. Dr. Maguire discussed Asenapine in 2010 on StutterTalk here. Embedded below is an interesting video on deep brain stimulation from the Mayo Clinic. Dr. Gerald Maguire joins StutterTalk to discuss the medical treatment of stuttering. Gerald A. Maguire, M.D. joins Peter Reitzes and Eric Jackson at the National Stuttering Association’s 2010 annual conference in Cleveland, Ohio. We discuss Dr. Maguire’s wonderful new book Without Hesitation: Speaking to the Silence and the Science of Stuttering (available through the National Stuttering Association). All proceeds from Without Hesitation are being generously donated by Dr. Maguire to the NSA and to the Kirkup Center for the Medical Treatment of Stuttering. Dr. Gerald Maguire from the Kirkup Center for the Medical Treatment of Stuttering joins Peter Reitzes andEric Jacksonto discuss Pagoclone updates, the recently published Exploratory Randomized Clinical Study of Pagoclone, the potential marketing of Pagoclone, his work with Dr. Nan Bernstein Ratner on the DSM5 (the Diagnostic and Statistical Manual of Mental Disorders) and much more. Gerald Maguire, M.D., joins Peter Reitzes and Eric Jackson to discuss stuttering and depression and to update the Pagoclone Phase IIB trial which is nearing its 8 month completion. Dr. Maguire is the director of The Kirkup Center for the Medical Treatment of Stuttering. The Center provides evaluations to individuals across the globe. As a non-profit center, scholarships are available to individuals who stutter who have limited means. 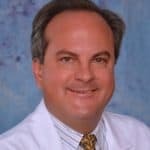 Dr. Maguire is certified by the American Board of Psychiatry and Neurology and is a Distinguished Fellow of the American Psychiatric Association. Email stuttering@uci.edu.